I didn't expect this kind of weather. 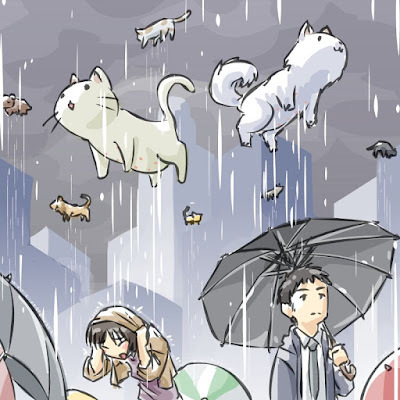 It's raining cats and dogs and I forgot my umbrella. Needless to say, I'm going to get soaked on my way home. Hopefully I won't catch a cold! Looks like we have to reschedule the picnic. Forecasters predict really heavy rains this weekend. We won't have any fun in the park if it's raining cats and dogs! Meaning: Raining cats and dogs is a playful expression to describe very heavy rain. This expression is usually used with "it."